Go fishing for reds, trout, flounder, mackerel, pompano, sheepshead and more using light tackle. From the most experienced fishermen to first time beginners, Backwater Water Guide Service offers something for all anglers. 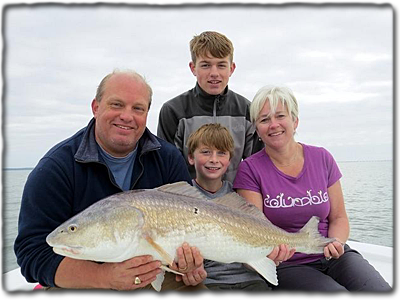 Whether casting the grass flats or oyster bars with artificial lures, or fishing with live or dead bait, you can enjoy some of the best fishing in the world, right here on the Apalachicola River and Bay. 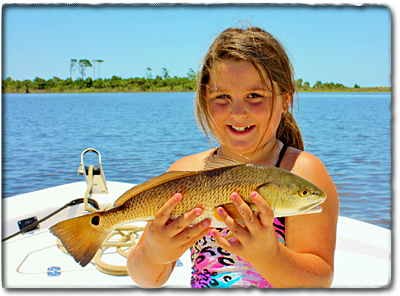 Who knows, your photos could be next to make the fishing photo gallery and maybe the bull redfish gallery. All fishing equipment, bait and tackle, licenses and ice are included. Fish cleaning available.